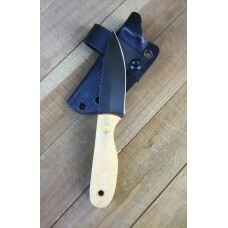 The Plain Jane is a small utility type blade in 1/8" AEB-L stainless steel. It is big enough for the everyday mundane from tape to potatoes but light enough to forget it is there. 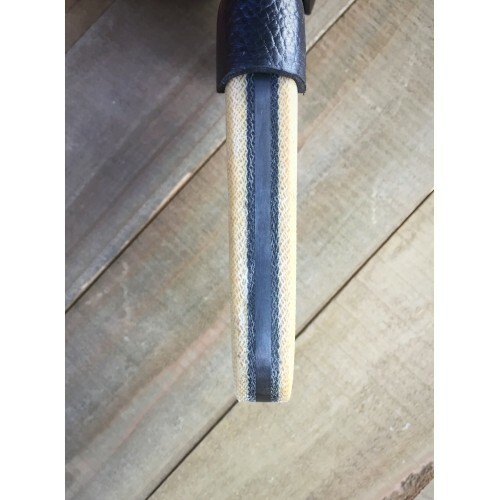 The tapered handles are ivory with black liner micarta from Unique Micarta. 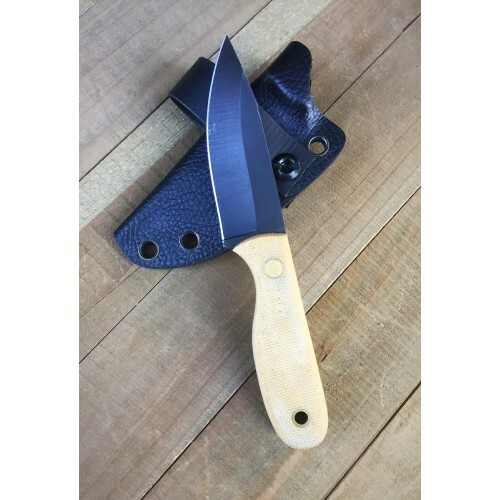 This model features brass hardware and an oxide finish over etch and tumble. 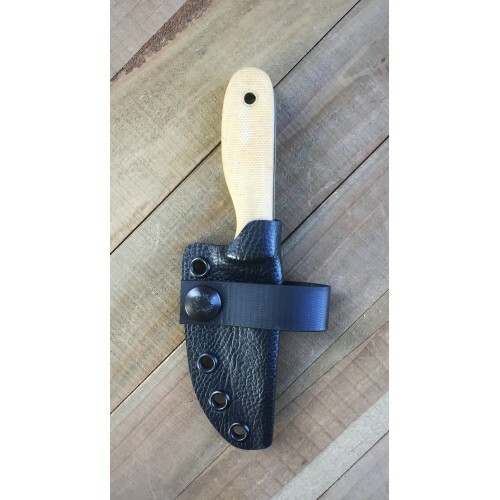 Black Holstex sheath included with loop setup for horizontal or universal carry.